This is an case study example of the types of claims we can handle at Legal Expert. The claimant who suffered a broken foot, in this case, was a 63-year-old woman. She was involved in a road accident which resulted in her making a foot injury compensation claim. At the time of the accident, the claimant had an active lifestyle, was considered to be outgoing, played sports such as badminton and went dancing. The claimant also enjoyed hobbies such as decorating and gardening. She also had a bar job at the time of the accident. As a result of the accident and the injuries she sustained, including a broken foot and PTSD, and loss of earnings, the claimants’ lifestyle was affected significantly. The case had to go to court and eventually a judge awarded compensation made up of general damages for the injuries and special damages to cover her loss of earnings as well as sundry costs incurred. The claimant, in this case, was involved in a serious road accident which caused her injuries. In the UK, serious road accidents can affect drivers, passengers, other road users and even pedestrians. 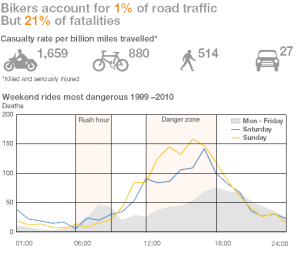 In 2016 a total of 1,792 people were killed in road traffic accidents in the UK. This was a small increase over the previous year. In the same year, 24,101 people were seriously injured in serious road accidents. Serious injuries sustained in road accidents can result in a variety of injuries, from broken bones (such as a broken foot) to fractures and soft tissue as well as organ damage. People can also suffer from serious and long-term emotional injuries, such as post-traumatic stress disorder. These injuries can have life-changing consequences for people suffering from them. Getting the compensation that people deserve is the first step to helping people rebuild their lives. What Injuries Did The Claimant Suffer In This Case? As well as broken foot the claimant suffered several injuries. The foot injury included a fracture to her heel bone or talus. The claimant also had some injuries to her back and neck which are commonly associated with a form of whiplash. The claimant also suffered from a psychological injury called Post Traumatic Stress Disorder or PTSD. This condition has been associated with depression, loss of confidence and resulted in the claimant becoming less outgoing than before. The claimant had to remain in a hospital for a period of several weeks during which she was unable to walk, having to keep any weight off the affected heel. She had to use a walking frame when returning to walking and subsequently had to use physiotherapy as rehabilitation. The claimant also had to be prescribed antidepressant medication. In order to establish the basis of the foot injury compensation claim, the long-term physical as well as psychological prognosis and treatment needed to be taken into account. Doctors estimated that the PTSD would be resolved within four years. The injuries to the foot and heel were expected to leave the claimant with permanent pain when standing for long periods of time. The results of the broken foot made it difficult for the claimant to continue with her work, hobbies and previous lifestyle. Compensation was awarded by the court four years after the accident occurred. The claim award was split into two parts, general damages for the injuries that the claimant had suffered, and special damages that were awarded for the claimants financial losses, such as loss of earnings, medical costs and medical care. The broken foot damages for the injuries included awards for the pain and suffering the claimant suffered, as well as their loss of amenity. For more information on foot injury compensation payouts, read our guide here. Legal Expert work with claimants across the country who need to make a personal injury claim after an accident, such as a road traffic accident. We offer our clients on a no win no fee basis. This is a type of contract which is also known as a conditional fee agreement. No matter your financial situation, we can work with you without you having to pay any upfront costs or ongoing fees towards your legal fees. The panel of solicitors we work with can offer claimants a no win no fee service. If the claim is not successful, claimants won’t have to pay any solicitors fees or costs. If the solicitor does manage to recover damages for a claimant, then the solicitors will be paid a percentage of this, no greater than 25% under current UK law. Working with one of our panel of no win no fee solicitor means that claimants who may already be facing some type of financial difficulties won’t face any additional costs as a result of the legal action. This means that you can concentrate on recovering both physically and emotionally from your injuries after an accident, without worrying about how you will pay any legal costs. Legal Expert offer clients a no win no fee compensation claim service. Talk to the dedicated personal injury specialists at Legal Expert today about your broken foot injury or other personal injury compensation claim. 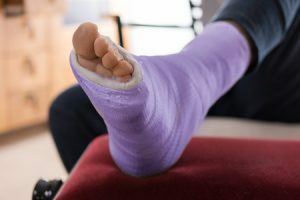 You can find out information from us about foot injuries and broken bone injuries, such as the average settlement for a foot injury as well as compensation guidelines for personal injury. Talk to Legal Expert today by emailing us the details of your claim to info@legalexpert.co.uk. You can also call us on 0800 073 8804 Alternatively, please use the online contact form on this page and reach out to us today. Find out more information about making a claim for a fractured or broken bone with our guide. Learn more information about the process of making a compensation claim for a broken foot.